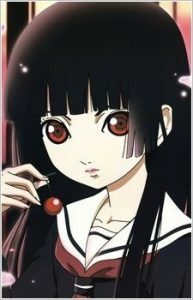 I’m watching Jigoku Shoujo season 4 at the moment. 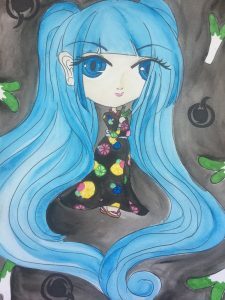 I decided to draw Miku as Jigoku Shoujo. It’s such a good show. I’m really not accustomed to drawing my eyes in this style. It was a challenge which I can see rather clearly. That looks awesome! I’m sure if you practiced this style with the eyes you could do some more awesome art! Thanks! I definitely want to play around with the style more! !